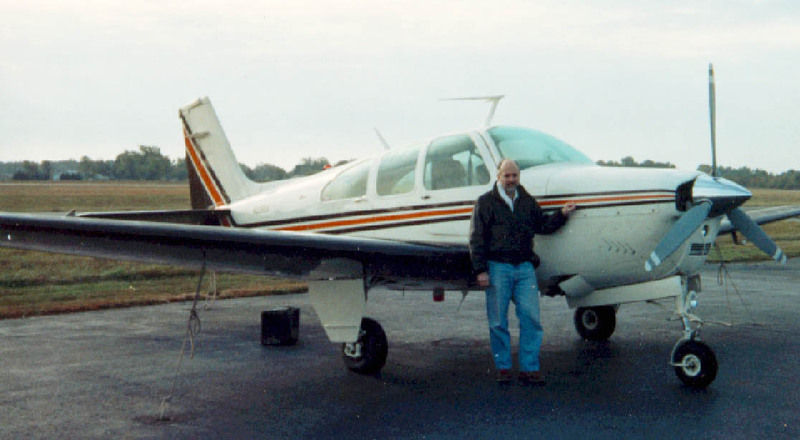 Dave Rogers and his 1969 E33A Beech Bonanza. The Technical Flying website contains articles on the effects of weight, altitude, gear and flap extension, tip tanks, parasite drag, engine upgrades, turbo-normalization, turns, vortex generators, etc. on aircraft performance. A number of formal comparative flight test results are also included. An E33A Beech Bonanza is used as an example. However, the results are conceptually applicable to most light general aviation aircraft. In the past I have had difficulty with unethical people on the net downloading the technical flying articles and/or my technical papers and placing them on their personal website or server. It is a little understood fact that the 1998 Digital Millennium Copyright Act applys to ALL digital content and not just music and movies (CDs and DVDs). The purpose of the act is to prevent people from distributing digital copies of material for which they did not hold copyright or distribution authority. As a result, I took down the Technical Flying page until I could resolve this problem. Consequently, there are rules to which you must agree before accessing the technical flying content. You MAY NOT download and place on any other server, webpage, ftp site, computer, digital storage media or similar device or media any article(s) or paper(s) from the Technical Flying webpage without the explicit written permission of the copyright holder. You MAY NOT include a link to a specific article(s) or papers(s) on your, or any other webpage or server, without the explicit written permission of the copyright holder. You MAY include a link to the Technical Flying webpage on your webpage/server provided it is to THIS SPECIFIC WEBPAGE. By clicking below to ENTER Technical Flying you agree to these rules and conditions.